Electric vehicles are something that has been pondered over time and time again, though we’ve seen manufacturers roll out their hybrids, not a lot of these have exactly been the most accessible. 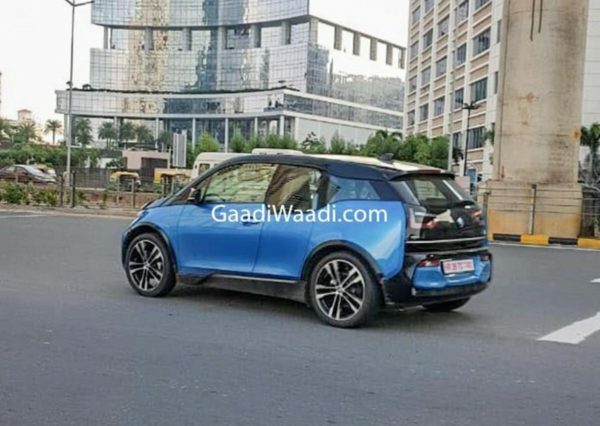 After it’s i8 hybrid sports car was well received not just globally but in India too, BMW unveiled the i3s at the 2018 Auto Expo in February, and created headlines along with tons of hype, though they didn’t confirm any plans of launching the vehicle. 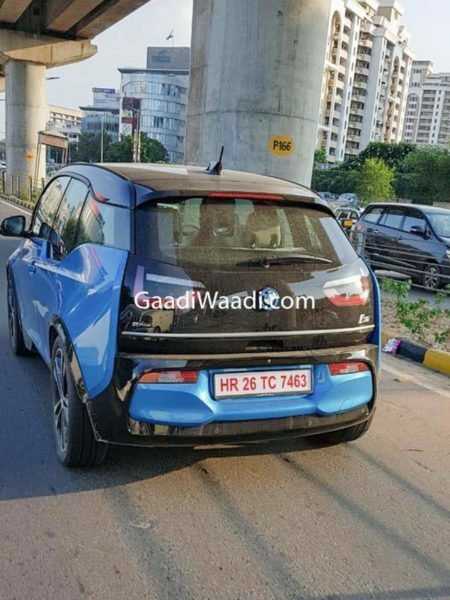 To our surprise, the new i3s was recently spotted testing leading us to believe BMW has plans of launching this car by sometime next year. For those of you wondering, the i3s not only gets a sportier exterior than the normal i3, it also gets mechanical upgrades. The i3s gets a sportier front and rear bumper with black inlays that helps add to the visual bulk of the car. Under the hood the i3s makes about 14 bhp and 20 Nm of torque more than the standard i3, bringing the total to 184 bhp of power and 270 Nm of torque ( as compared to the 168 bhp of power and 250 Nm of torque the standard i3 makes). In addition to that, the i3s gets an improved charging cable that allows the battery to be recharged in just 3 hours. BMW also offers an optional 647cc, twin-cylinder petrol motor that is mounted in the rear and works as a generator to charge the battery, thereby extending the range. The addition of this engine would add to the overall weight of the car making it just as fast as a standard i3 in a straight line. Given its electric reflexes, the motor manages to thrust the i3s from 0-100 km/hr at just around 7 seconds. Like we said, BMW hasn’t revealed any official launch date but is expected to launch the i3s sometime next year.